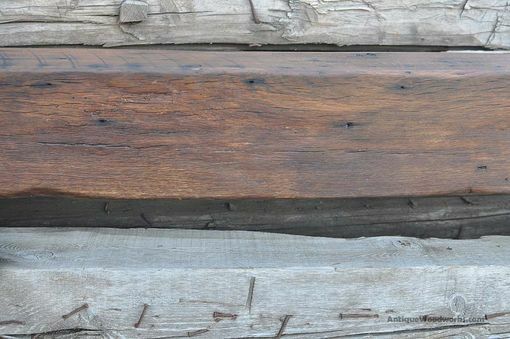 This rustic mantel beam came from a local barn here in Minnesota. 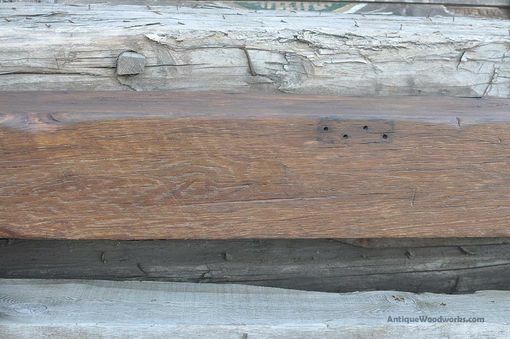 It is an 8×8 white oak beam with a wonderful, dark color that is completely natural. 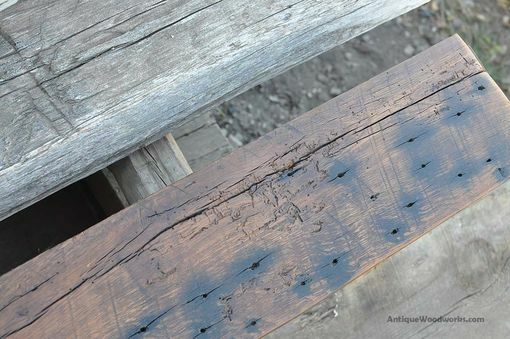 The top face is accented with a string of nail stains as well as some wonderful quartersawn grain patterns. The bottom side shows a couple of "ghosts" from where old hinges were placed. We wish the top could be the face, but there was some rot spots on the back. 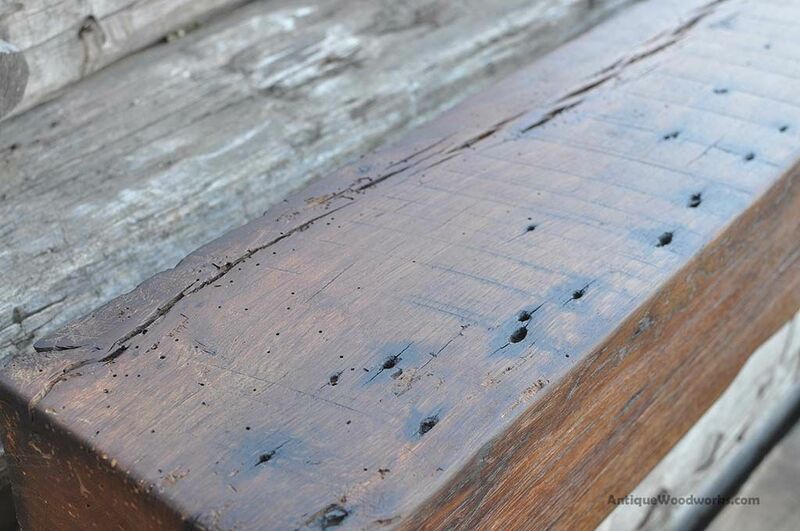 We sanded up the beam just right, then applied a hardwax oil finish. The barn was located between Norwood, Minnesota and Bongards, Minnesota. 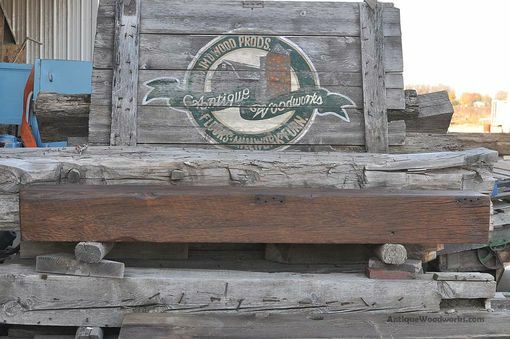 It was on what is known as a "Century Farm," dating back to 1877. This is a farm that has been in a family for over 100 years. In the picture, you can see an old colorized photo of the farm, including the barn. 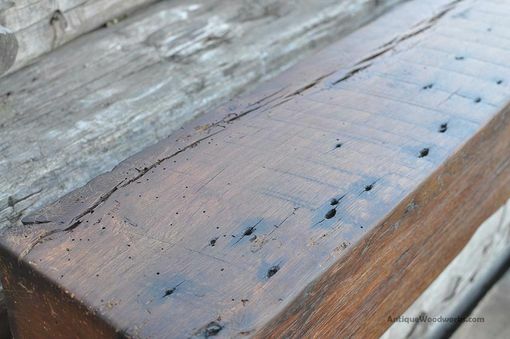 This beam was in the lower section of the barn completely covered in white wash. It is always amazing to see what is hiding underneath all of the the "crud." One section of this old barn had old log cabin timbers that had been re-used as "sleeper joists." So those beams were already on their second re-use, now going on their 3rd. 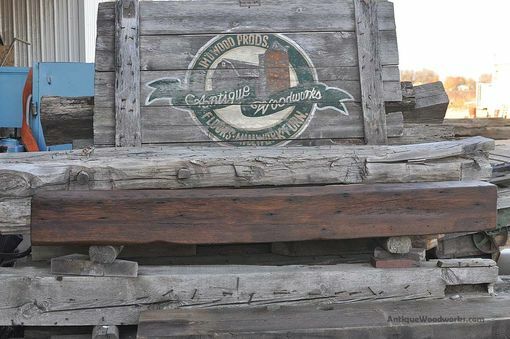 We have similar, longer beams available — up to 8 to 10 feet. We also can cut this one shorter and reduce the price by $8.33 per inch, up to $100 off.